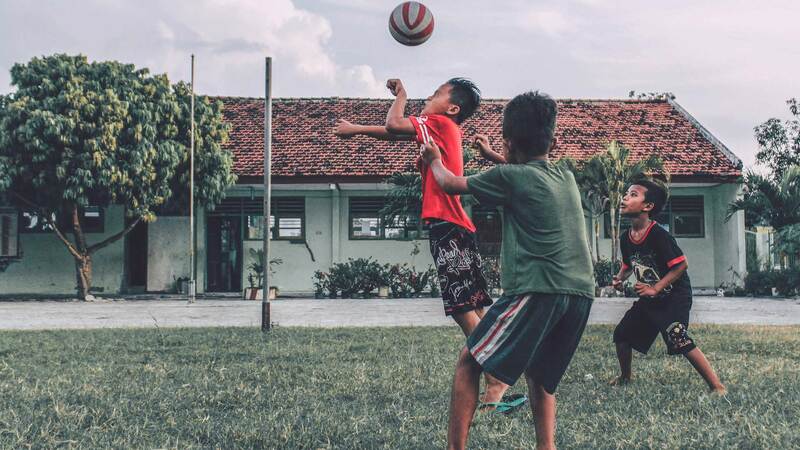 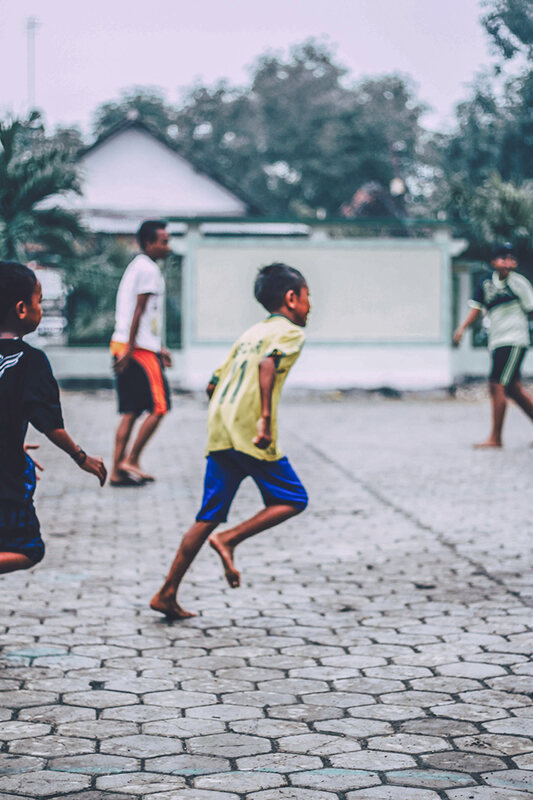 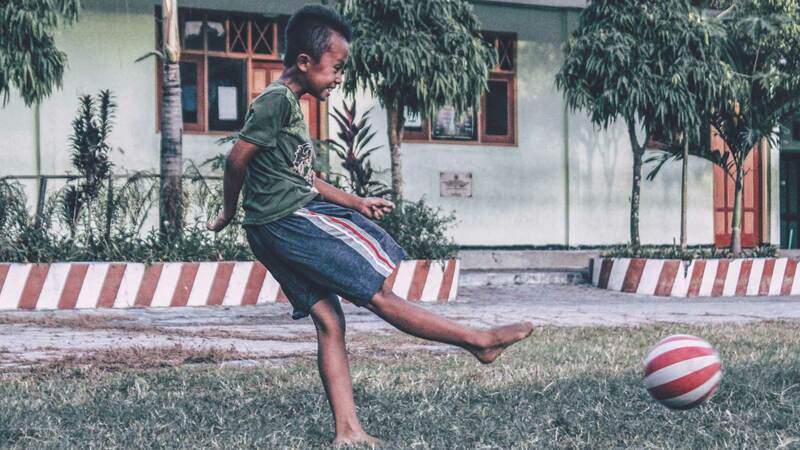 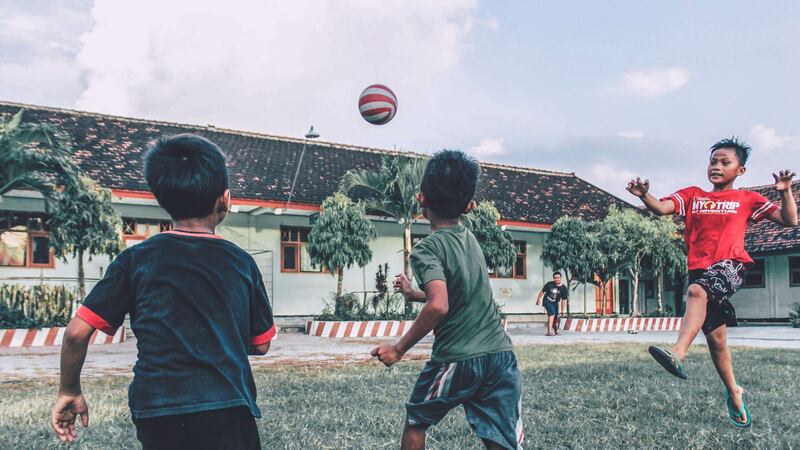 On any given day, in the late afternoon hours, the sounds of children laughing and kicking a ball can be heard at the Islamic boarding school of Lengkong Village on the island of Java. 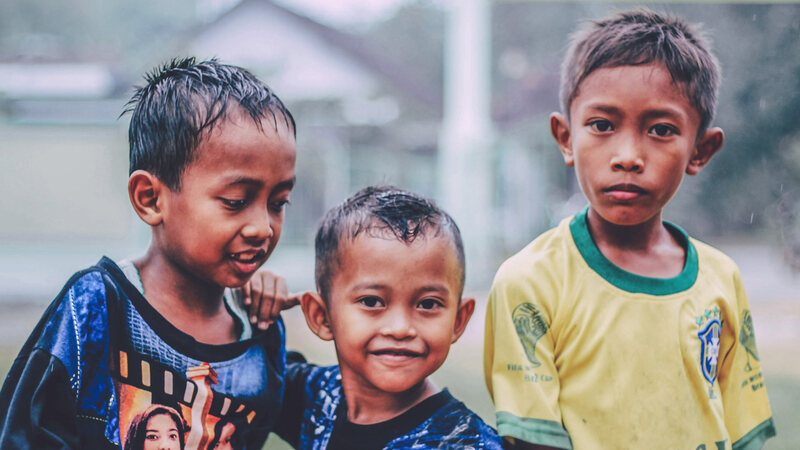 Java is home to more than half of the Indonesian population and is the most populous island in the world. 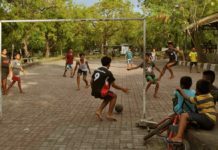 And the reverberations of street football can be heard in elementary schools all across the archipelago. 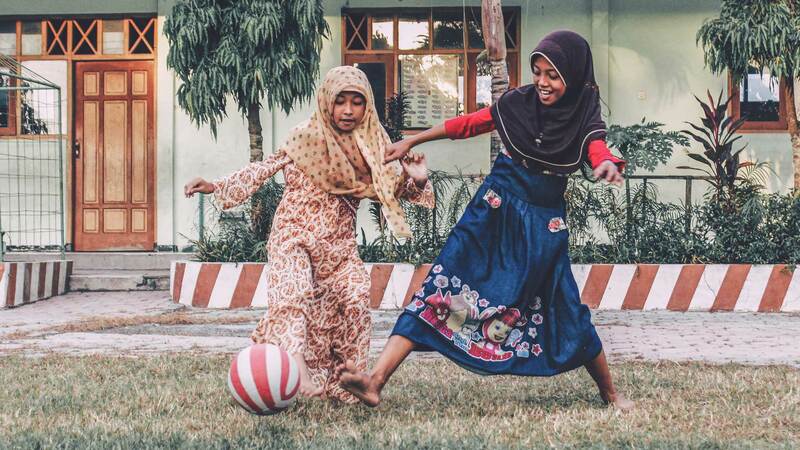 After finishing their Quran reading course, students gather in a small front yard. 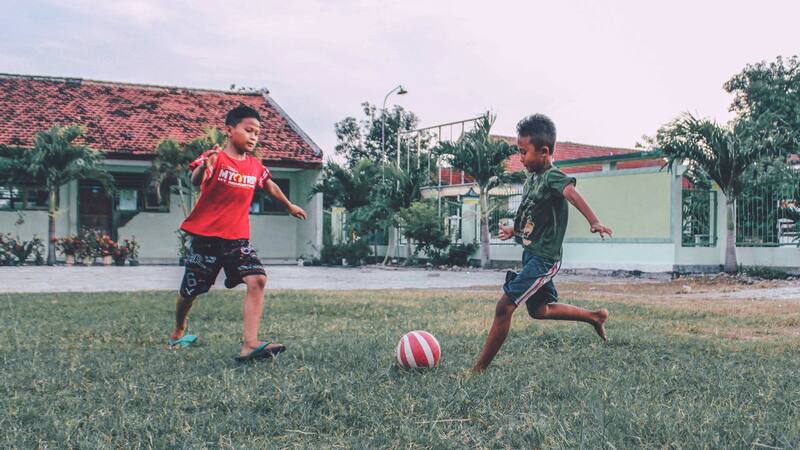 Ranging in age from 6 to 12 years old, these football enthusiasts happily struggle to take the ball away from each other, and both boys and girls often mingle on the makeshift pitch. 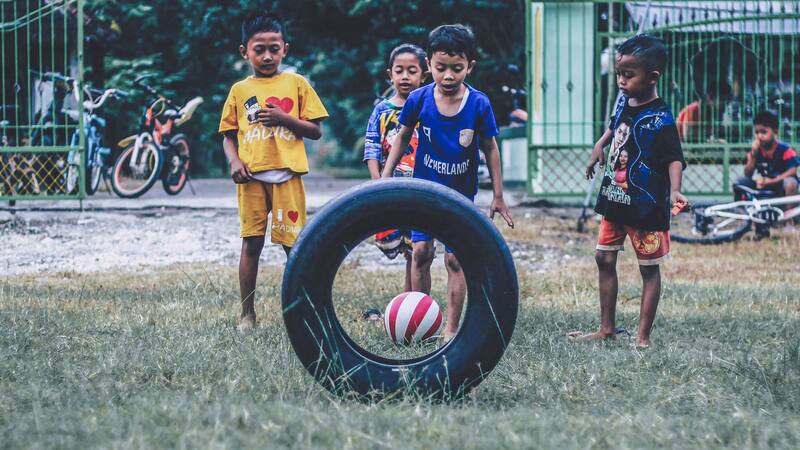 Having grown up together, they know each other well. 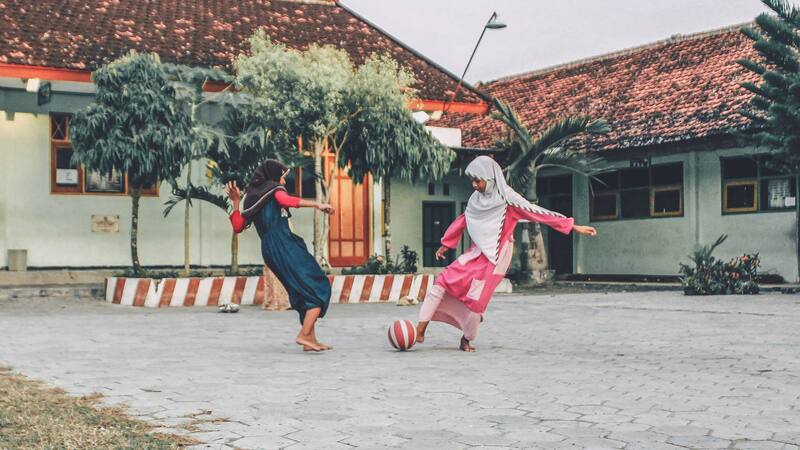 As girls kick around in their hijabs, the boys choose to stack their sarongs off to the side, usually using them as goals. 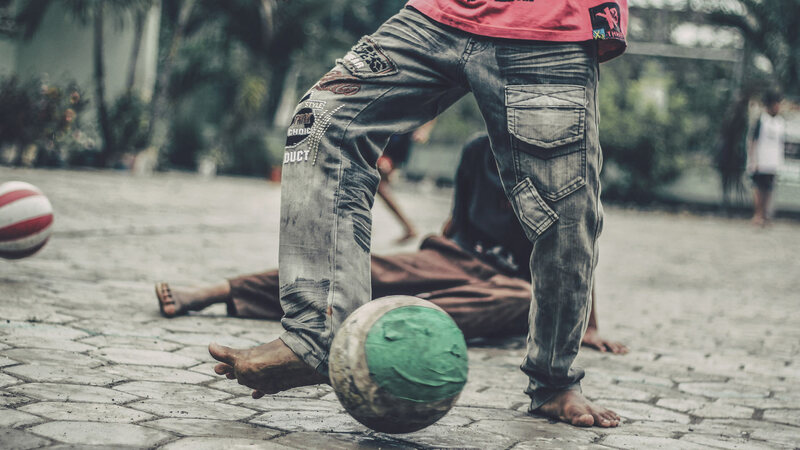 Nearly all of them play barefoot. 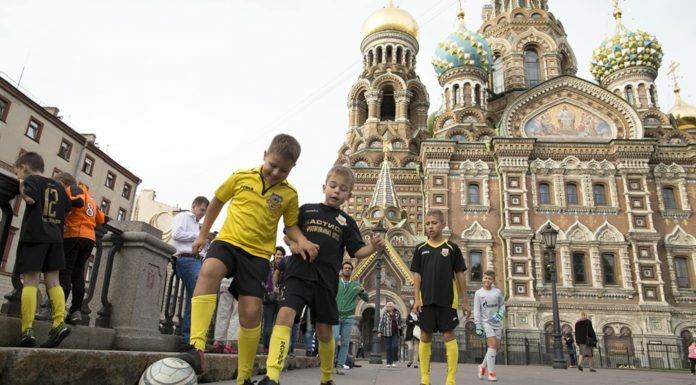 There isn’t much attention paid to the grass and cobblestone playing surfaces, as both are viable pitches. 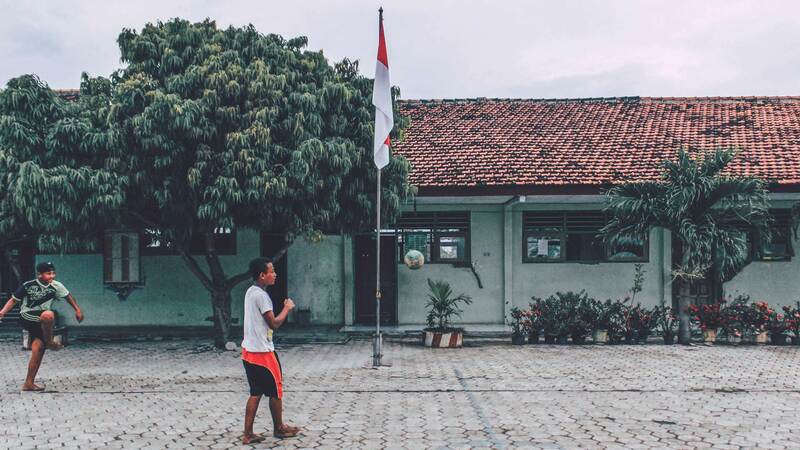 A fresh red-and-white ball seems to be the favored game ball, with its bright stripes mimicking the country’s flag standing proudly in front of the village hall. 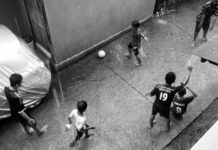 Photography by Satrio Bagus Prabowo.